Vern Burkhardt (VB): Congratulations on another wonderful book. You’ve been busy since we last spoke about The Leader’s Guide to Lateral Thinking Skills in July of 2009. Has How to be a Brilliant Thinker received a lot of attention in Europe since it was published? What about the rest of the world? Paul Sloane: We’ve sold the translation rights for Russian, Polish, and some other languages. I’ve been interviewed on 25 different radio programs in the United Kingdom. The book has also attracted attention on the Internet so it’s going well. VB: What about North America? Paul Sloane: It is a slower start in America. It’s harder to get attention in America because there are so many books published in the U.S.
VB: How can we become a brilliant thinker? Paul Sloane: The first thing is to recognize that we can improve our thinking style. Thinking is a habit, just like anything else that you do. The same way that you could improve your tennis, golf, or swimming, you can improve your thinking. We can easily fall into a rut with our thinking because, although the brain is a very powerful organ, it is very lazy. We can become a couch potato doing the same type of thinking over and over again, and never exercise the mind in different ways. VB: The brain is lazy. Paul Sloane: Yes, the brain is lazy. It’s a bit like a tennis player who has a fairly good forehand so he tries to hit every shot with his forehand. He’ll never go to the net, take an overhead, or play a backhand. He can play the game but if he developed other shots, he’d be a much better player. It is the same with us. Most of our thinking tends to be verbal thinking, logical thinking, and critical thinking. If we were to develop other styles of thinking – some of the other methods described in the book – we would become much more creative, more effective with our jobs, and more interesting people. VB: Does everyone have the potential to be a brilliant thinker? Paul Sloane: Everyone has the potential to become a better thinker. ‘Brilliant’ is a little bit of hyperbole in the title of the book. Everyone has the potential to be a much better thinker than they are presently by recognizing there are areas of thinking that need developing. For example, you can develop your memory, thinking skills, storytelling skills, creative skills, mathematical skills, and visual thinking skills. There are techniques in the book to help you do it. VB: We can improve both our convergent and divergent thinking. Paul Sloane: Absolutely, that’s right. We tend to use convergent thinking most of the time. If we’re presented with new ideas and possibilities, our instinct is to criticize and find fault with them – to see what’s wrong with them. It is the training we receive in school. It goes way back to the Ancient Greeks – the dialectic that one person comes up with a thesis and somebody else immediately challenges it. Convergent thinking is so natural and ingrained in us that it’s hard to stop ourselves from doing it. Of course it is often useful. It protects us from doing silly things, but at the same time it stops us from exploring the seemingly absurd but potentially creative ideas. VB: In some respects we are too adept at convergent thinking? Paul Sloane: Yes. We tend be like the man playing tennis, continuing to use the same style of thinking. We tend to be left-brained, which is critical, analytical, logical, judgmental, and convergent. We don’t use some of the other styles of thinking which are sometimes described as right-brained. VB: Are having an open mind and being curious key starting points in learning to be a better thinker? Paul Sloane: A person who is open-minded and curious learns. This is a key starting point to being a better manager, leader, thinker, and innovator. Close-minded people think they know everything so why do they need to learn or explore new possibilities? Why do they need to ask questions? They already know it all. The closed mind is the enemy of creativity; it’s the enemy of innovation. And I think it’s the enemy of leadership. VB: I guess it’s also the enemy of being a well-rounded, socially adept person. VB: Is being a good conversationalist an integral part of being a brilliant thinker? Paul Sloane: No, you can be a brilliant thinker, but not a brilliant conversationalist. But if you are a brilliant thinker and you can’t communicate your ideas, then you’re going to have a limited impact on the world. You meet some people who are fantastic thinkers and yet they only mumble. They can’t articulate their thoughts clearly. They can’t communicate to people who aren’t as intellectual as they are. If you want to be really effective, if you want to convert your great ideas into actions, then you need to be able to communicate. If you are a good conversationalist you will learn as well as inform. You will also be more welcome at events because socially you’ll be a more interesting person. VB: Listening is a key to being a good conversationalist. You can learn something from everyone you meet even if the person is less intelligent, less experienced, less rich, and less successful than you. If you concentrate on listening to them, typically you will learn something you don’t already know. VB: Typically they have a perspective. Paul Sloane: Yes, and the more distant they are from your culture and your way of thinking, the more useful that perspective can be in challenging your thinking. VB: Do you personally use all of the approaches you identify in the book? Paul Sloane: I try. I deliberately look for new challenges and new things to do every day, but I’m as susceptible as the next person to lazy thinking and slipping back into old habits. I catch myself making assumptions and doing sloppy thinking so I’m also guilty of some of the faults that I point out in the book. VB: But you consciously work at it. Paul Sloane: Yes. My message in the book is if you recognize that your brain is a muscle you can develop, then you will start doing something about it. If you consciously or unconsciously have the perspective what and how I’m thinking is fine so I don’t need to improve on it, then this is a big part of the problem. VB: One of the recommended approaches is to consciously pick out one of the techniques you describe, and use it. Say for example you’re a verbal thinker, which most of us are, you will be thinking in terms of words, sentences, and conversations. But there are times when you might want to use a diagram. If you are describing to somebody how to get to a destination on the other side of town, you can say, “You go down the freeway, take the third exit, turn left, and when you arrive at the top of the hill you veer to your right.” Or you could draw a map. If you do this, you’re using visual thinking. Equally, if you draw a mind-map you’re using visual thinking. To the extent you are using diagrams, you’re using a different part of your brain. Similarly if you’re using numbers or music you’re using a different part of your brain. VB: Do you use mind-maps extensively, yourself? Paul Sloane: I use mind-maps a little. I wouldn’t say I’m the best exponent of mind-maps, but I use them when I’m taking notes or working on an idea for a new talk, book, or article. I try to assemble my thoughts by putting them on a mind-map. It’s not a very sophisticated tool; it is simply a slightly different way to arrange the information you’re trying to marshal. VB: It makes the information visual. Paul Sloane: Yes, by making it visual you can see links, extensions, and areas where you can further develop your thinking. VB: One of your suggestions is to “slow down your life.” Have you personally managed to do this? Paul Sloane: It’s a struggle. We tend to dash from thing to thing, and have short attention spans. We confuse being busy with being successful. Typically we will get up in the morning, read some of our emails, talk on the phone, read a few more emails, dabble at a few things that are not necessarily highly important, look at some paper, talk to one or two people, and all through the day we’re busy. But we’re not thinking about the important and strategic things that we need to sort out. If you’re in business, you need to focus on the big issues – the important ones. If it’s your home life maybe you need to be thinking about your health, financial strategies, life strategies, important relationships, or partnerships. You need to slow down, and spend time thinking about the things that really matter. But we tend to be rushing so fast that we never slow down to ponder, reflect, and think deeply about the important issues in our lives. VB: I was interested in one of your blog entries. You posed the challenge if you are a CEO of a company imagine that you have two months left to live, what would you want to accomplish. All of the minor things that you’re spending a lot of time on you’d brush aside, and say, “Those don’t matter at all. These are the really important things I want to leave behind in my work, with my family, and in my relationships.” This is one mental technique and, although this may seem slightly morbid, it helps you focus on the big issues rather than devoting all your time to the insignificant ones. VB: “Tell stories.” How do you ensure the stories you tell will be interesting to the other person or your audience? Paul Sloane: That’s a good question. It is a matter of judgment but if the story appeals to me, and hits a chord I say, “Wow. That’s a really good story with a powerful message, and it resonates with me.” If it resonates with me it will likely do the same with my audience. I’m always on the lookout for the kinds of stories that are powerful and explain an important principle. People remember stories. They relate to stories far better than to charts, diagrams, PowerPoint slides, and the corporate messages. When I give keynote talks, a lot of what I do is tell stories about real people, the challenges they face in business, and how they use some of the principles of lateral thinking or creativity to solve their problems. VB: The stories don’t have to have humor in them? Paul Sloane: No, they don’t. Humorous stories are good, and they appeal. I like to include humor in my talks. If I can entertain an audience they are more engaged than if I’m dry and informative. But I have to get the mix right. If I’m giving a keynote talk at a conference I use a bit of humor to lighten my presentation. If I’m giving an after-dinner talk I’ll include a lot more humor. VB: Are some of the approaches you offer your personal favorites for enabling people to come up with radically new ideas? Paul Sloane: One of the chapters in the book is about unleashing your personal creativity. It talks about some of the methods you can use to think creatively. Chapter 8 gives about 10 or 11 methods you can use to boost your personal creativity and come up with many ideas for any problem that’s troubling you, and needs creative approaches. VB: There are 11 different techniques, as I recall. Paul Sloane: Yes, that’s correct. Some of those techniques I teach in my workshops, and there are others I use as well. They are all simple but powerful methods you can use on your own, or in a small group. VB: Your message throughout the book is these are not difficult things to do. They’re quite simple techniques; we merely have to be aware and use them. It’s a question of shaking people out of their normal habits. That’s why it’s relatively easy for a facilitator to help a group of people use them. For some reason it’s harder for a team leader who is with the team members all day, every day to say, “Let’s try a new method and approach this problem from a new perspective .” It’s so easy for the team to slip back into its normal mode, and then it’s tired, and not creative or innovative thinking. VB: It’s why a new team leader has an opportunity to make a significant difference. The new broom has an opportunity that the old broom doesn’t have. Another of the techniques I advise CEOs is to say, “What would you do if this was your first day in the company?” “If you were just appointed to replace the previous CEO, what would you do differently? If you were a new broom, how would you approach the problem?” It sharpens up your thinking. Paul Sloane: Yes, they are. They’re watchful; they listen and observe. I advise CEO’s that the people you work for – it’s not they who work for you – are much more focused on what you do than what you say. If you move into an organization and say things like, “Innovation is important to us” and “Our people are our greatest asset” – all the usual management platitudes – people will just nod but not listen. As soon as you do something concrete, such as reward somebody who was innovative, praise somebody who has failed but tried valiantly, or do something dramatic, people take notice. Actions speak louder than words. One of my points in the book is that just being a brilliant thinker is not sufficient. You have to turn thinking into action if you’re going to change the world. VB: You say, “When it comes to important decisions we should be wary of trusting our instincts.” This applies even to experienced leaders and professionals? Paul Sloane: In some ways I contradict myself because I say some leaders trust their intuition. If your intuition is telling you something strongly you should listen to it. You should also apply logic, critical thinking, creative thinking, and be prepared to challenge all the assumptions you make. You should also trust your intuition to some extent. I’m not saying that left brain thinking is wrong and right brain is right, or vice versa. If you can use all of the strokes Roger Federer, the tennis player ranked #1 in the world, uses you’ll be a much better player than if you just use the forehand stroke. It’s similar if you use all the available tools for your thinking. Paul Sloane: It’s an easy thing to get into, especially with an important decision. We put it off. We think we don’t have enough or the right data. If we wait a little bit longer we’ll get more information, and therefore be more likely to make the right decision. We’ve got to recognize this danger and adopt an attitude of “Let’s try it.” Don’t analyze it to death, because you learn far more from trying something than from studying data and building models. If you can, pilot test or prototype your idea in some way. You can’t always do this, depending what business you’re in. If you’re making parachutes, I wouldn’t advise you to have lots of experiments. With most other non-life and death things you can engage in lots of experiments, and continually learn from them. The route map to innovation success is to cultivate a habit of studying a problem, thinking about it, generating a lot of ideas, coming up with some great ideas, and then trying them out. VB: “If we work the brain it appears that we can encourage the growth of new brain cells.” Is this the main reason our IdeaConnection readers should read and adopt many of the exercises you describe in your book? Paul Sloane: No, I would say the main reason is they’ll become more effective at doing their jobs, more creative, and less likely to have blind spots. They’ll be less likely to miss major opportunities if they use some of the approaches described in the book. I give examples of some of the errors in thinking we make and some of the serious consequences that can result. One is when the police assume they’ve got the murderer so they stop looking for more evidence and other interpretations of the collected evidence during their investigation. This has happened many times all over the world – they make premature assumptions. Another example relates to probability theory. The example I give is about the test for a serious disease that affects 5% of the population. Suppose there’s a test for it that has a 90% accuracy rate, which means a positive result for 90% of tests for people who have the disease – 10% will be wrongly diagnosed. Now consider if you don’t have the disease this test will correctly give a negative result 90% of the time and a positive result 10% of the time. The question to ponder is if you take the test and the result you receive is positive indicating you have it, what is the probability you’ve actually got the disease? Most people would think it is 90%, but it’s not. The probability you have the disease is only about 32%. Think of randomly sampling 1,000 people, where we would anticipate 50 to have the disease and 950 won’t. Of the 50 who have the disease at the 90% test accuracy, 45 will test positive and 5 negative. Of the 950 who have it, 95 will test positive and 855 negative. Of the 140 who tested positive, only 45 actually have it – the 32% I mentioned earlier. This is an example of the kind of flawed thinking that can affect doctors and their patients, and other learned people. People have committed suicide after this type of test result, because they think it’s highly likely verging on a certainty they have the serious disease. In this example the odds are 68% they don’t have it – hardly a reason for committing suicide. VB: That was one of the many intriguing chapters in your book. Paul Sloane: It takes a while to explain, but when people think about the example they say, “Oh yeah. I can see that now.” You’ve got to use a bit of rigorous thinking in order to reach the correct conclusion. If you use sloppy thinking, and go with the first assumption that comes to mind, then you end up with a very dangerous and erroneous result. VB: Isn’t an explanation for why people may tend to draw an erroneous conclusion is they like to have absolutes, rather than probabilities? Paul Sloane: Yes, and one of the comments I make in the book is that routine thinkers like absolutes. They like certainty. They don’t like to diverge from the views they’ve grown up with, and that are embedded in their brains. This can be dangerous, as we know. Brilliant thinkers like ambiguity. They relish the fact that two things can be true at the same time. There’s often complexity and multiple facets to an issue. VB: Two contradictory things can be right at the same time. And innovative leaders have to be a little bit ambiguous. They have to be tight and loose at the same time. They have to be an arsonist and a firefighter. They have to be prepared to check and control things, but at the same time let things go. They have to be analytical and creative. This dichotomy, this ambiguity, is something brilliant thinkers relish, and other people shy away because they find it frightening. VB: Was How to be a Brilliant Thinker one of your most challenging books to write? Paul Sloane: No, writing it came naturally from some of the other things I’ve worked on. I’ve written a whole series of lateral thinking puzzle books issued by Sterling Publishing, and two leadership and management books published by Kogan Page. They’re about leadership and self-help – leading and helping you to think better. How to be a Brilliant Thinker looks at the problem from a different perspective, which is more of a personal level. The focus is on how we can improve our thinking. I’ve been thinking about how we can improve our thinking for quite a while. With that background and accumulated information it took me nine months to write the book. VB: You have an incredible number of entries in Twitter. In addition to communicating with your clientele, is it also a way of recording your thoughts for future books? Paul Sloane: It is partly that and partly to promote some of the articles I’ve written, some of my ideas, and to build my brand as a thought leader in creativity and innovation. I use Twitter extensively and also FACEBOOK, LinkedIn, and Plaxo Pulse. So I use a number of social media sites. I find Twitter the handiest because typically when I’m thinking of a provocative thought, I’ll point to an article I’ve written if one exists. If somebody else has written an interesting article, I post a link to it for my followers. VB: You must spend a lot of time on the Internet. I probably spend more time than I should. I use Social Oomph to schedule future Tweets if I’m going to be away. For example, if I’m running a workshop in France say there will be tweets that will be released during that day using a future scheduler for Twitter. It’s a well-known technique. VB: You still have to have written the blog entries. Paul Sloane: Yes. I write the blogs and then schedule tweets about them. VB: Do your blog entries naturally and easily come to your mind? Paul Sloane: Yes, because I’m covering lots of different topics in my work. Whenever I do or see something new I’ll typically tweet or blog about it. I try to add value. I try to communicate something that the people who follow me will find interesting and valuable, rather than just saying what I’m doing. VB: You must receive a lot of positive feedback about the number of entries and interesting topics covered in your tweets. Paul Sloane: Yes, and it’s gratifying to see that people are forwarding my messages to their followers. .
VB: Do you use the ideas you put on Twitter in your books and lectures? Paul Sloane: Yes. For example with my latest book, How to be a Brilliant Thinker, I didn’t try to write the content all at once as a book. I wrote one chapter at a time, and posted it on the blog for feedback. This had two main benefits. First, it is easier to motivate yourself to publish something this week rather than next year. Secondly, I received feedback from my readers. I’ve received comments like, “You’ve spelled this guy’s name wrong” and, “Here is another example.” Through this approach I receive corrections, improvements, and suggestions. Some people would disagree with certain arguments l made in a chapter. This type of feedback enriched the final copy that went into the book. It was a work in progress for almost a year where I was blogging, getting feedback, and then refining my ideas before they finally went into the book. VB: Do you have any interesting presentations scheduled in the coming months? Paul Sloane: I am giving talks or workshops in France, Germany, Saudi Arabia and Israel – so some diverse and stimulating experiences. VB: You are Head of the British Quality Foundation’s Innovation Unit. Would you tell us about this organization and your role with the Innovation Unit? Paul Sloane: The British Quality Foundation is a membership organization composed of many businesses in both the public and private sectors in the United Kingdom. It was brought into being to help develop standards in quality, continuous improvement, and business excellence. I help the foundation on an occasional basis with their special interest group which focuses on innovation. I’m not an employee of the BQF, but I run sessions for them, write for their blog, and do short articles for their magazine. We get interesting speakers for meetings of the Innovation Unit. For example, we’ve got a meeting in a couple weeks with a major speaker from Nokia who will be talking about innovation at his company. I’ll be speaking at the meeting as well. I always learn a lot at these meetings as well as contributing. VB: These are dinner meetings? Paul Sloane: No, they’re all-morning meetings. They start at 9:30 and run up to lunch. VB: You’ve had a lot of books published. Have you started on your next book yet? Paul Sloane: I’m up to 20 books published now. I’ve got some thoughts for a couple of new books, but I haven’t decided definitively what I’m going to work on next. I’ll often write parts of a book as a blog post and then see what the reaction is. It’s a gauge to see if it makes sense for me to build this material into a more corpulent body of work. VB: So by watching your blog posts we can get an indication of the likely topic of your future books. Paul Sloane: Yes, that’s absolutely right. I’ve got about 130 articles posted on Associated Content, which is one of the places where I post. I also write entries on Stepcase Lifehack – a self-help group, and as I previously mentioned I write entries for the BQF Innovation blog. VB: What motivates you to undertake the long process of writing a book about creativity and innovation? Paul Sloane: There is a great satisfaction in writing a book, because it means you have contributed something lasting, something solid. You’ve left an impression whereas if you give a talk or present at a workshop at the end it is over – it’s gone. You make a big impression on the audience but then it’s over, whereas if you write a book it’s going to be around for a while. VB: It must provide an incredible sense of personal accomplishment. Paul Sloane: There is a great sense of accomplishment in seeing your own work in print, yes. And seeing the reaction of others. VB: Do you use your technique of Freewriting during the process of writing your articles and books? Paul Sloane: I don’t use that, to be honest. Perhaps I should. Typically I don’t have a problem with writer’s block. Once I start writing, I can write. The problem that can arise with most writers is getting started – sitting down and starting the next book or the next chapter. For me, once I’ve started I can invariably generate some worthwhile material. Freewriting is an interesting concept that I recommend you try on your own or in a group. You just write, and pour out whatever comes into your mind. It doesn’t matter whether it’s silly, grammatically incorrect, or related closely to the subject you’re working on. You just write and continue writing for the allotted time. Then you pick the bones out of what you’ve written, and often you’ll find that it contains some good creative elements that are useful. VB: Have you had people use that technique in seminars you’ve led? Paul Sloane: Yes, at workshops I’ve had people try this technique – some find it uncomfortable, but that’s a good thing. If what you’re doing in a workshop is comfortable then you’re not being stretched. A lot of people are surprised by what they produce with Freewriting. VB: Comfort zone – an enemy of innovation and creativity. Paul Sloane: Absolutely, and it’s an area we like to retreat into because we feel safe there. We know where we are, we’re doing the things we know we can do, and the level of risk is very low. While it’s a nice and safe haven to be in, it’s also a dangerous place because you’re likely to end up in a place that will become a tomb. VB: I get the sense you’re very seldom in a comfort zone. Paul Sloane: I’d like to think not. I try to push myself to move out of my comfort zone, to give myself new challenges, and try new things. But all of us face the temptation to retreat into what’s comfortable rather than push ourselves into what’s risky or untried. VB: Have you always been creative? Did you grow up being creative in school? Paul Sloane: At school I enjoyed mathematics and physics, but also writing, English, music, and those more creative kinds of subjects. I’ve always considered myself to be creative, but the opportunities to be creative in work are quite limited for most people. If you’re not careful you end up with your creativity crushed out of you, and you get into a routine. That’s the danger with work – we do the things we’re experts at doing. This is a challenge we have to constantly guard against. The innovative leader will challenge his or her people to do things they don’t know whether they are capable of. I try to do the same to myself. VB: You’ve been one of the fortunate people who have been able to turn what you love into a lifetime job. Paul Sloane: Yes, that’s right! Paul Sloane: No, I think the book itself will help people think in new ways, think new thoughts, and become more interesting. I hope people enjoy it and if they’ve got any comments, I’d love to hear from them. Author Paul Sloane has provided us with a wealth of useful, practical suggestions about how to become a better thinker – how to think differently than is our habit. His final words of advice are: “The message is clear. Your brain needs exercise, challenge and stimulation.” How to be a Brilliant Thinker provides us with all three. Paul Sloane studied engineering at Trinity Hall, Cambridge and graduated with a first class honors degree. He is a Chartered Engineer. He worked for the United Kingdom's Ministry of Defense in electronic instrumentation before joining IBM in manufacturing. At IBM he moved into sales and was part of the team which launched the IBM PC in the UK in 1982. 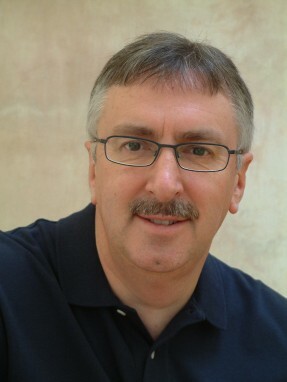 In 1984 he joined Ashton Tate as UK Marketing Director and later became Northern European Managing Director. In 1993 he became Vice President of International Sales for Mathsoft Inc. In July 2001 he became CEO of a leading British software company. Working through Destination Innovation, a company he founded, Paul Sloane provides motivational presentations on innovative leadership, organizing for innovation, lateral thinking in business, and creative selling and marketing. He also offers creative leadership workshops covering problem analysis, impediments to innovation in business, lateral thinking methods, idea generation and evaluation techniques, and organizing for innovation. Paul Sloane is the author of How to be a Brilliant Thinker: Exercise Your Mind and Find Creative Solutions (2010), The Innovative Leader: How to Inspire Your Team and Drive Creativity (2007), The Leader's Guide to Lateral Thinking Skills: Unlocking the Creativity and Innovation in You and Your Team (2006), and co-author of many books with creative thinking puzzles such as Outside-the-Box Lateral Thinking Puzzles (2009), Captivating Lateral Thinking Puzzles (Mensa) (2008), Outstanding Lateral Thinking Puzzles (2005), Classic Lateral Thinking Puzzles (2004), Colorful Lateral Thinking Puzzles (2004), Infuriating Lateral Thinking Puzzles (2010), Hall of Fame Lateral Thinking Puzzles (to be published in 2011), and Lethal Lateral Thinking Puzzles (to also be published in 2011).